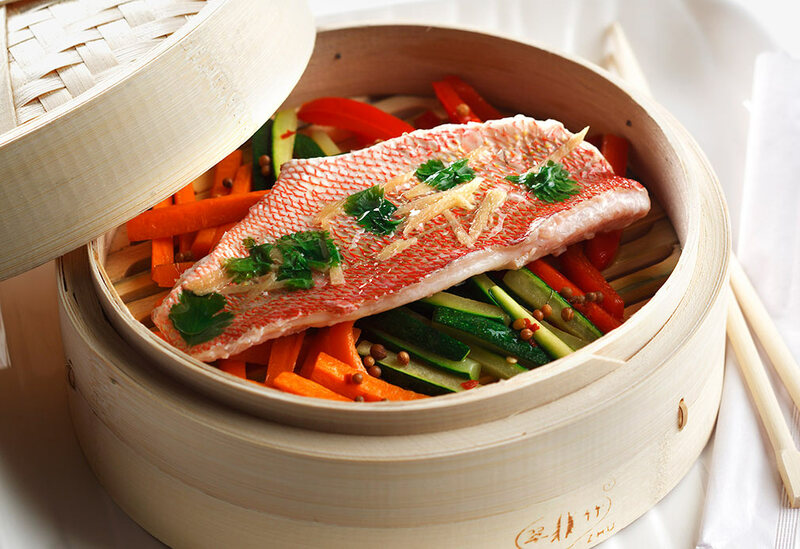 Japanese cooking is perhaps the most delicate and disiplined of Asian cuisines. It is aesthetically pleasing and dedicated to the artistry of food presentation. 1. To make Batter: Beat egg yolk with fork, add cold water and mix well. Add flour and just stir to combine. Batter should be quite thin, about the consistency of cream. Add more ice water if necessary. 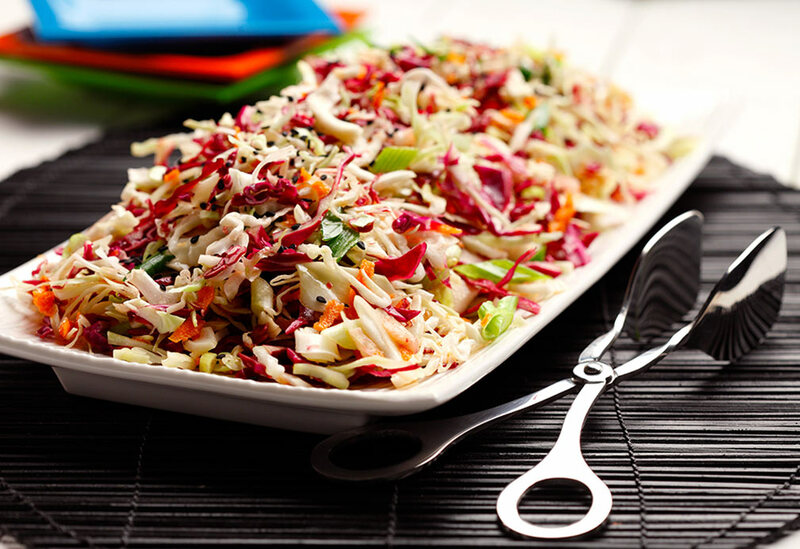 Mixture should leave just a thin coating on seafood or vegetables when dipped. 2. Blot dry prepared vegetables, chicken or seafood in a paper towel and then roll in flour. 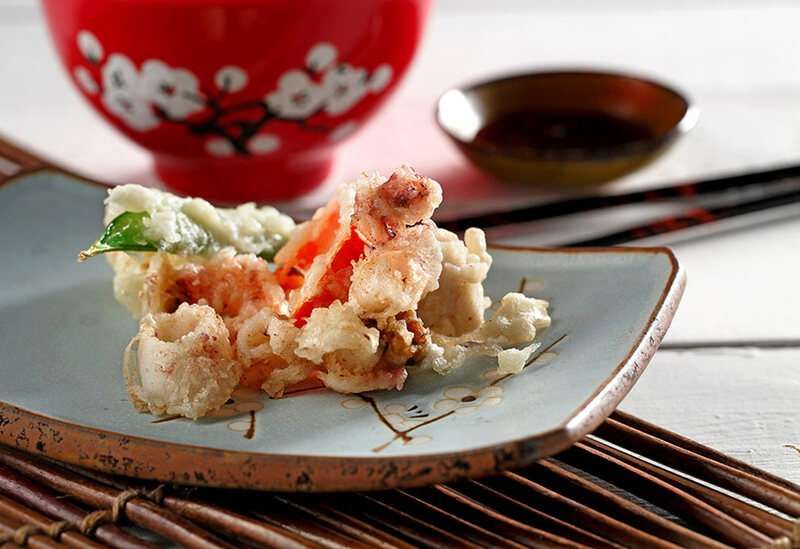 Dip into the tempura batter and deep fry immediately in hot canola oil. Serve with Teriyaki Sauce. 3. To make Teriyaki Sauce: In a bowl, combine soy sauce, garlic, sugar, ginger, and sake. Note: Ensure seafood, chicken and vegetable pieces used are dry and near room temperature before dipping them into the batter. 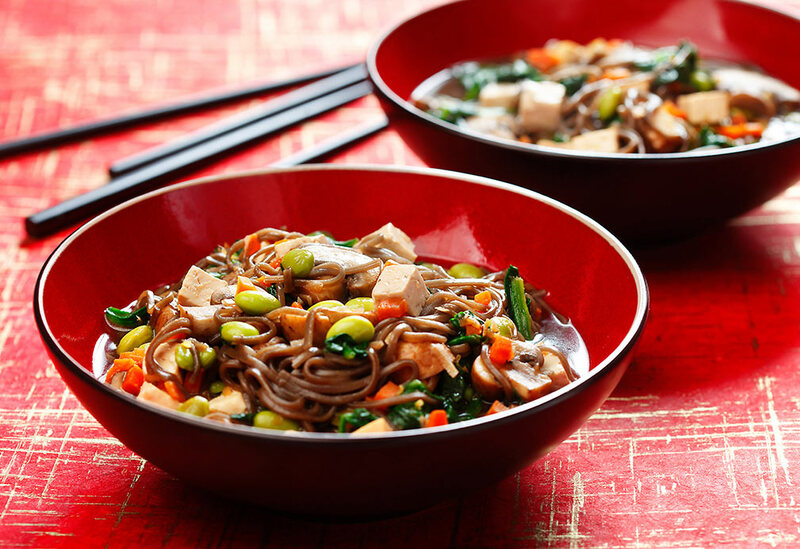 Instead of high-sodium packaged ramen for lunch, try soba "buckwheat noodles" with a protein-packed vegetarian sauté. Because mushrooms tend to soak up so much oil, they are "sweated" in a covered pan so that they soften in their own juices. While tofu is the traditional protein in this Japanese dish, you can substitute leftover cubed chicken or turkey for the tofu, and peas for the edamame, if you like.